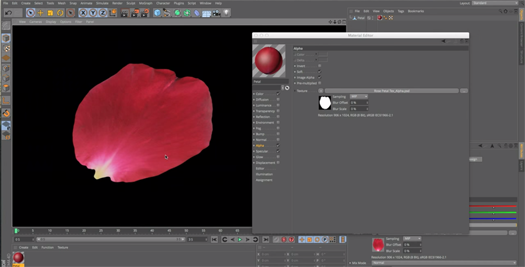 In this tutorial in Cinema 4D PremiumBeat.com showes the easiest way to create a beautiful looking 3D Rose model and texture. Forst we have to find an image of a rose petal image from internet. then put that texture in color map of a material and also create an alpha map which we have to put into the alpha slot of the material. This will cut out the texture of the petal of the rose. Next, to add some realism we have to put a bump map to give a roughness. This we can easily done by putting a desaturated image of the color map in the bump section of the material. Next we need to deform the petal to give the realistic look. For creating this deformation we will use joints and IK system in Cinema4D. Follow the steps that shown in the video to accomplish the required deformation for the each petal of the rose. After creating the deformation of the single petal just duplicate the petal using the radial clone option. Hope you all will like the video, and create a beautiful looking rose.